Forget going to see the wizard in the Land of Oz. 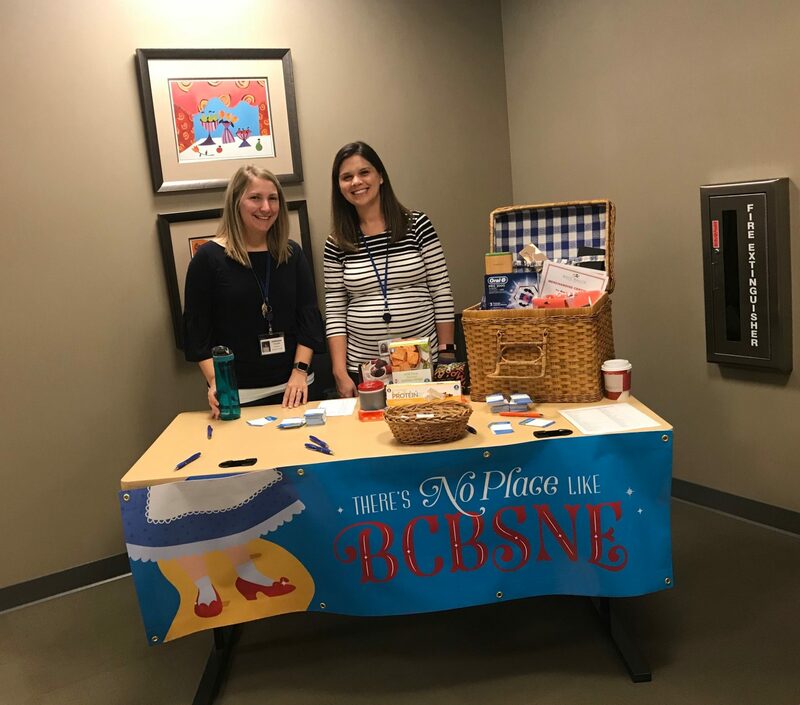 Blue Cross and Blue Shield of Nebraska (BCBSNE) employees followed the yellow brick road to better health during the company’s annual health, safety and employee benefits fair. More than 35 vendors attended the “Wizard of Oz” themed fair to share health, safety and employee benefits information. Bob Mancuso of Omaha Pedalers Bicycle Club was one of the health vendors in attendance. 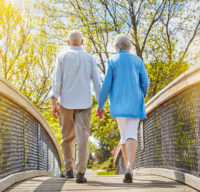 Mancuso said the club has been attending the fair for several years. “It’s always been a great turnout and a great benefit for the Blue Cross employees,” Mancuso said. 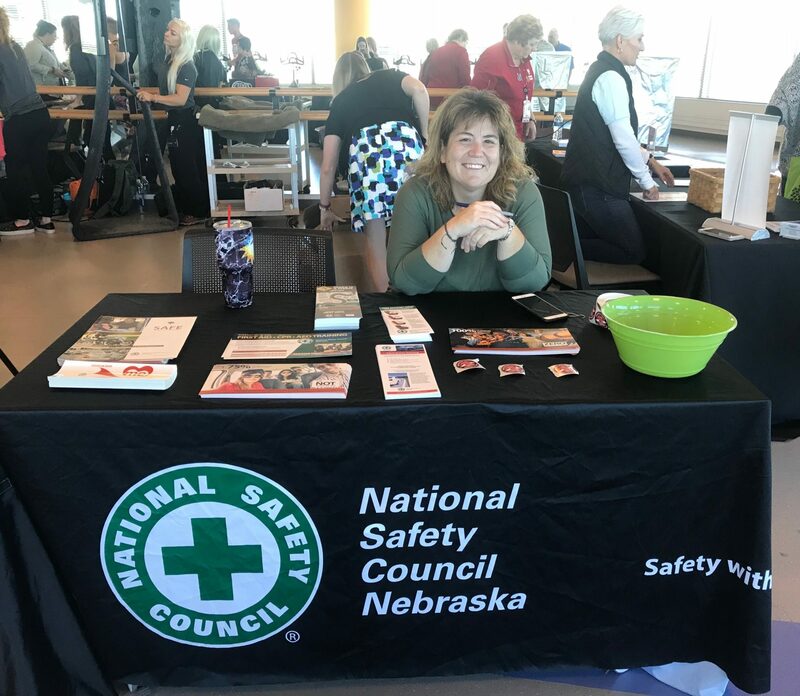 Among the other vendor booths was Jeana Tortorilla of the National Safety Council Nebraska. Tortorilla said she was there to spread the message on the importance of safe driving. On a similar and more interactive note, State Trooper Keith Bell provided roll over demos at the fair in a machine designed to simulate a roll over car crash in a controlled seat. BCBSNE’s Felecia Jones participated in one of the crash demos. Strapped in and wearing the four-point harness seat belt, Jones was slowly tipped upside down and around in the crash simulator while a crowd gathered. 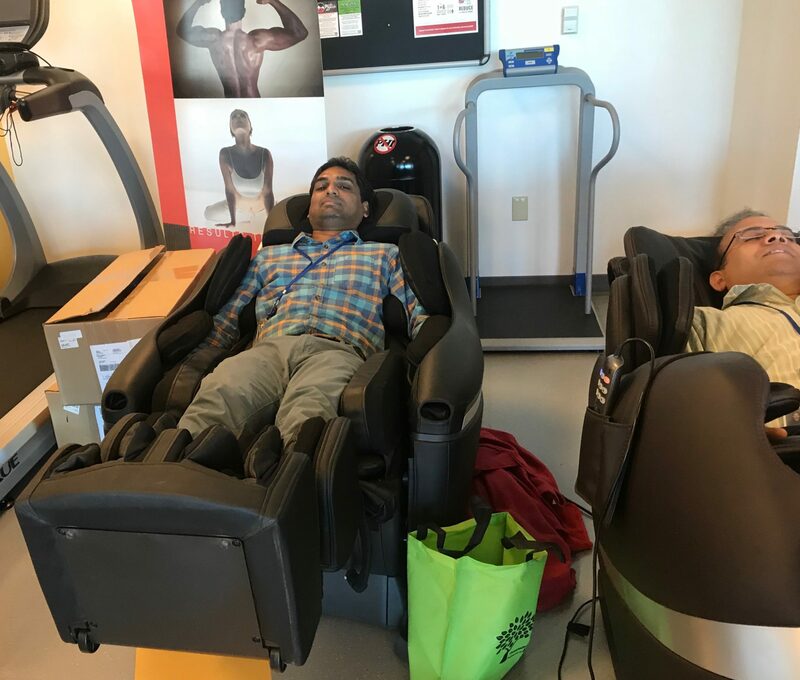 Other BCBSNE employees, like Praveen Besta, enjoyed the more relaxing demos at the fair. Besta tried out the massage chair demo and said it felt great. 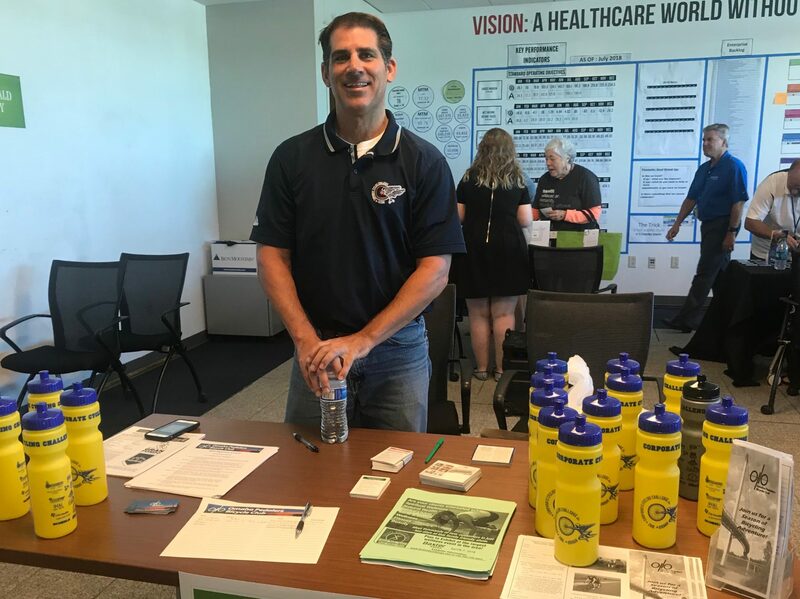 Even though Dorothy, Toto and the Tin Man weren’t in attendance, the 2018 health, safety and employee benefits fair proved to be a success with prizes, giveaways and important information shared with employees, proving there’s no place like BCBSNE.